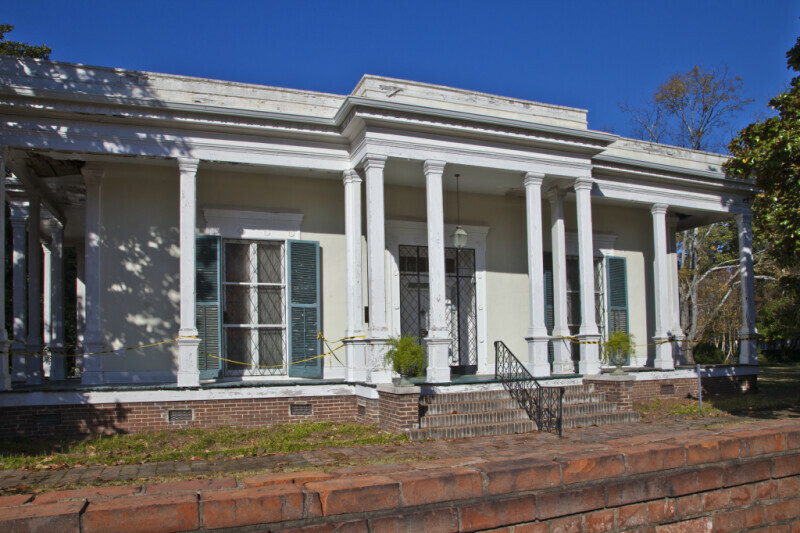 This is the Curlee House, at 711 Jackson Street, which is also known as the Veranda House. The house was built in the Greek Revival style, in 1857. The veranda is supported by square, chamfered posts that are topped by a full entablature. At different points in the Civil War, this house served as headquarters for Confederate Generals Van Dorn and Bragg, and Union General Halleck. There is a brick foundation wall at the base of the building. There is a wrought iron railing running up the center of the brick steps that provide access to the veranda. WARNING: You are about to download a 31.7 MB TIFF!